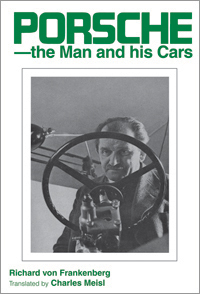 Ferdinand Porsche was an outstanding engineer with an astonishingly long and successful career as a designer of many widely differing types of motor vehicle, including, of course, the world famous Volkswagen. Born in 1875, he designed and built many exciting cars long before the one which still bears his name, although there was an electric 'Porsche' racing car as early as 1900. He was himself a racing driver. He really started to make his name with Austro-Daimler, moving on to Steyr, Mercedes, Wanderer, Skoda, Daimler and N.S.U. In the world famous rear-engined Auto-Unions of the mid-thirties he foreshadowed the current trend of formula 1 racing cars. 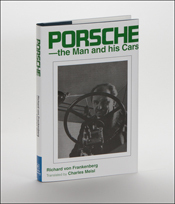 Richard von Frankenberg, well known to many as a former editor of Christophorus, knew Dr. Porsche well and originally authored this remarkable history of the man and his cars, including details of outstanding succcesses in motoring sport in 1961.